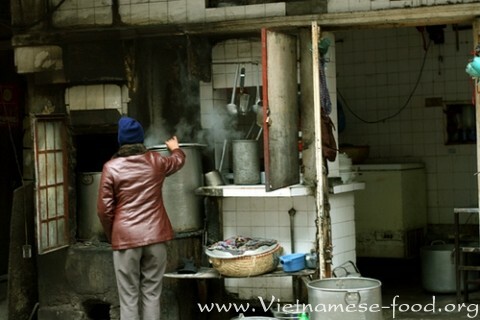 Beef noodle (Phở bò): HaNoi has very much delicious noodles, beef noodle is one of the most delicious noodles. 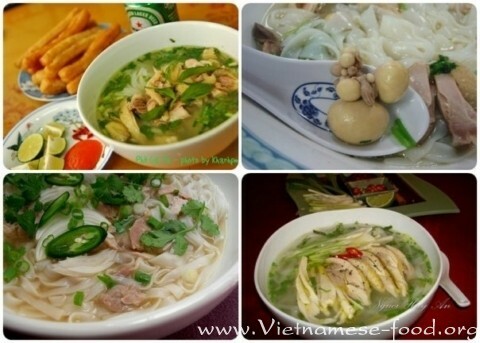 Happy noodle (Phở Sướng ) : Address : Dinh Liet Street. Noodle is so delicious , meat is sweet-smelling, very good quality food. 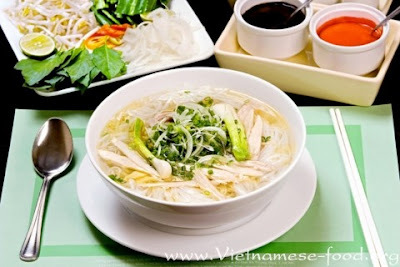 Fun noodle (Phở vui) : Fun noodle is charming,sweet- smelling of beef, always get to appreciate of the gourmet. This is a noodle brand has long been confirmed. It is very tasty and there are many flavors noodle, beef noodle is variety for customers choose such as:re-noodle,beef cooked, or re-studded bucket .... It depends on preference of customer. The broth of noodle is very fragrant and charming by the processing and selection of spice. In particular,Quay is the delicious food , hot. Recently, Ly Quoc Su noodle has moved to end the Nha Chung Street, for the opposite 33 Nha Chung street. Address: 49 Bat Dan street. Telling about Bat Dan noodle , people think about the noodle queue but to be enjoying a delicious bowl of noodle so everyone are calm, some people bring newspapers to read, wait for minutes. Bat Dan noodle has a lot of protein, fresh grilled beef,fragrant flesh, bone tunnels are fresh water, like type of traditional Hanoi noodle. A small tip for you: when you come Bat Dan restaurant ,you should have at least 2 people, who lined up to a place holder, because a bowl of noodle on your hands will be very hard to find seats, because restaurant is crowded. In order to have a delicious bowl of noodle, beside processing water of noodle is limpid, sweet, deep sweetness and stew of the bone with spices, "Thin noodle" also attention to fried for meat, to souse soup on noodle. Beef is stir- fried over furnace with a high temperature, the island quickly, beef will have the beautiful color immediately and very sweet . The chef cleverly arranged rice noodles along with fennel as the stalks of mountain then make soup into the bowl of noodle Like other noodle shops, diners can eat noodles with" shaped souflé batter" and put into a little water from chillis suit tastes of diners. Shop always opens the door from 5 am to 9 pm, but almost time shop still often has guest. 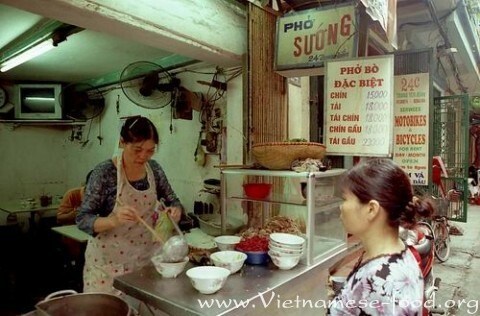 This is one of the few sidewalk noodle shop in HaNoi. Despite of the cold air or hot summer, this restaurant is very crowded. Restaurant is decoratived simple garnish, each guest will have a chair in plastic (super baby) to sit down and another one to more (not even enough) to water or hot bowl of noodle if you do not hold it on hand ...It is very simple ,diners eat noodle with chopsticks, there is no spoon. Customers carry bowl with one hand, other hand hold chopsticks and when you want to drink soup,you must have to use your mouth. Convenient and fun. Noodles in here is quite tasty and is made to follow Hanoi-style, cooked beef with green onion and onion. Gravy is used in this country is pretty delicous but we should choose to eat at near the end fo charming more. Because the sidewalk noodle, they just sale out a pot of water , opens the door 5pm to 8pm ..
Ms. Lam Chicken Noodle : Address in Nam Ngu. Chicken noodle in here is valuable 20.000vnd /a bowl (about $1). There are three women as three sisters took turns the selling three cases from early morning to 20h daily. . Eating piece of chicken is sweet-smelling,is very thick. Noodle is processing is excellent, It has attribute of greasy. Quan Thanh Chicken noodle : The area looks out flower-garden of Hang Dau , near Hoe Nhai. Unlike the chicken noodle at Nam Ngu, noodle in here the attribute of tasteless and pure . Water is used less fat, fragrant, eating first peice of noodles is always has feelings . 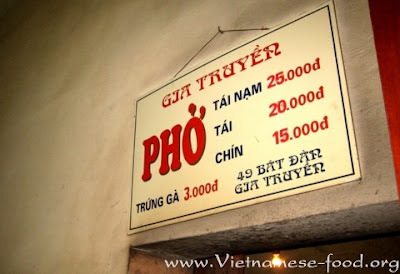 It costs you 12000vnd to buy a bowl of noodle. 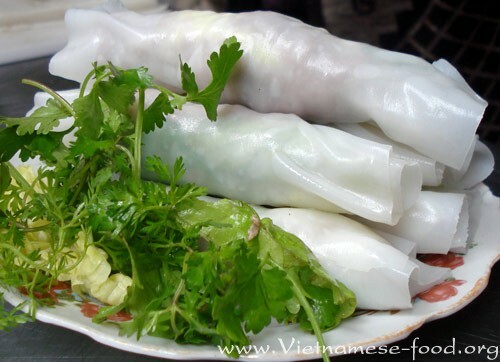 Mai Anh noodle: Address on Le Van Huu street. This restaurant has sweet noodle soup, and noodle bowls have a few meat balls. Seem to blend somewhat, but you eat a few times then you do not eat again . You will remember it greatly .At noon, this restaurant has many tourists but are the most visitors who come from Japan. Price is 15000vnd / 1 bowl, It is chicken noodle. Chicken noodle in Ton Duc Thang street: Many customers have ate noodle here said that: " I do not understand why piece of chicken in here is more delicous than other country in the world." Gravy is not the most delicous , but the piece of chicken is excellent. Most delicious is skin of chicken, it's thicker, slightly crunchy, and greasy. Price is 15000vnd / a bowl - 20.000vnd / a bowl (about $1). This name is derived from an overseas Vietnamese loves Hanoi noodle has came to put this name: "Eat it to remember forever ...". Since then, Remember noodle has became the brand, a name familiar to many gourmets. Fiber of cake is soft , meat is sweet, gently fragrant with chilli, help fresh and soft pieces of beef. Eating a bowl of noodle that like to enjoy a work of art. Is that reason why restaurant has took second prize in Hanoi? Address: "memories noodle" - 27A, Huynh Thuc Khang street. 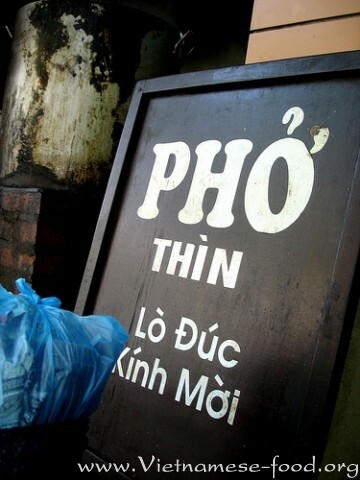 Pho 24h has become a popular noodle brand not only domestically but also in foreign countries. Tourists prefer to eat noodle in here because foods are safe, staffs are very professional .this restaurant is designed with uniform standards for interior as same as the processing of noodle. Pho 24h has variety foods to choose as: corn noodle Underdone beef noodle soup , Beef noodle soup, noodle soup with chicken. There are also many nutritional drinks is made from fresh fruits. Address: at 45 Huynh Thuc Khang street, Dong Da distric , Hanoi capital. Some other pho restaurants has strange dishes such as "pho be teo" in the corner atrophy Ly Thuong Kiet - Hang Bai - beside Cafe Window has dry mixed noodle dish, very tasty. Not noodles nor messy mix everything. Pho is simply meat, Rice noodle, onions herbs, the importance of mixing water and the rate of chef. Generally good, I have to eat two bowls in one. One thing can not fail to mention that is every bottle of chutney .All most famous restaurant sell noodle, they also have bottle of chutney are "excellent".